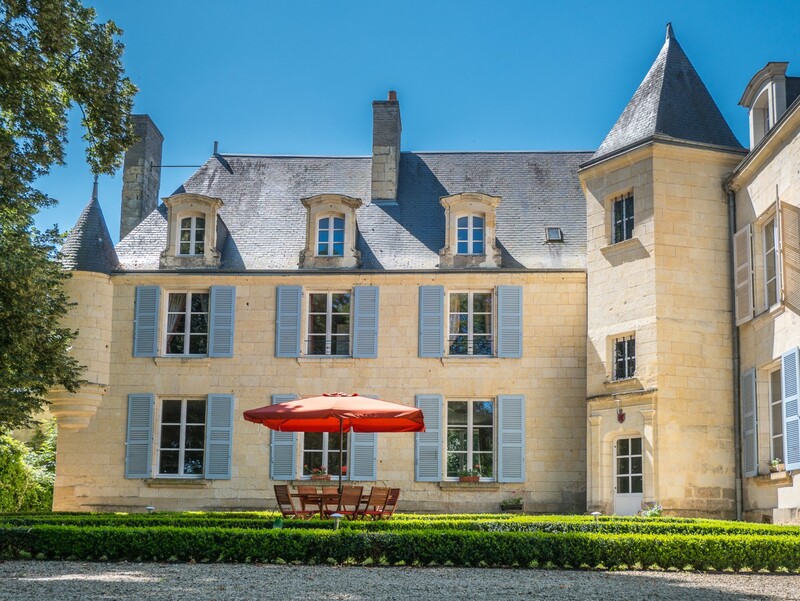 If you want to enjoy a magnificent weekend in a quiet environment with access to culture, history, gastronomy and wine, then a stay in the 17th century Château d’Isoré in the Loire valley is a must. Also management teams that need to discuss their strategy, can do this in all comfort and peace. Via the motorway it can be reached in 3 hours from Paris, 6 hours from Brussels, and 8 hours from Amsterdam. With the High Speed Train or aircraft to Tours, it is only 50 km away. The micro climate in the Loire valley gives early spring and late fall with a great number of sunny days. An extra argument to leave the rainy Northern Europe area. The rooms are classified with 4 “épis” from the Gîtes de France organization as proof of comfort and quality, and continuous care to make your stay a success in fluent English, French or Dutch by the Belgian couple Peter and Chantal De Swert-Coen.